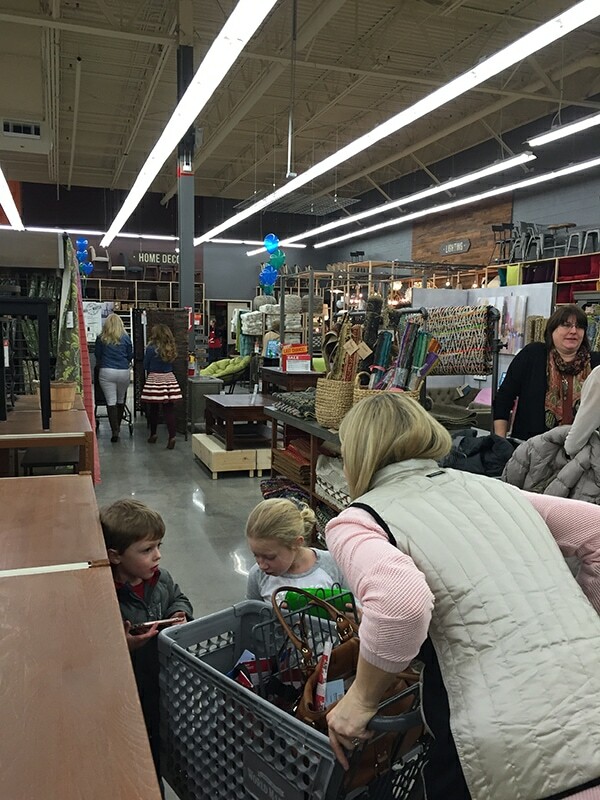 Hi friends, today I want to talk about my recent Cost Plus World Market visit and what I actually bought for our home. Remember when I told you about the local opening in my post HERE? So last Thursday was the day and I invited one of my bestie to come with me. Retail therapy with a great friend is always a good thing. Like I said before, this was my first visit to World Market. I’ve shopped there online but never at an actual store. And I do love a good personal experience. There is just nothing like actually looking at the items and touching them. 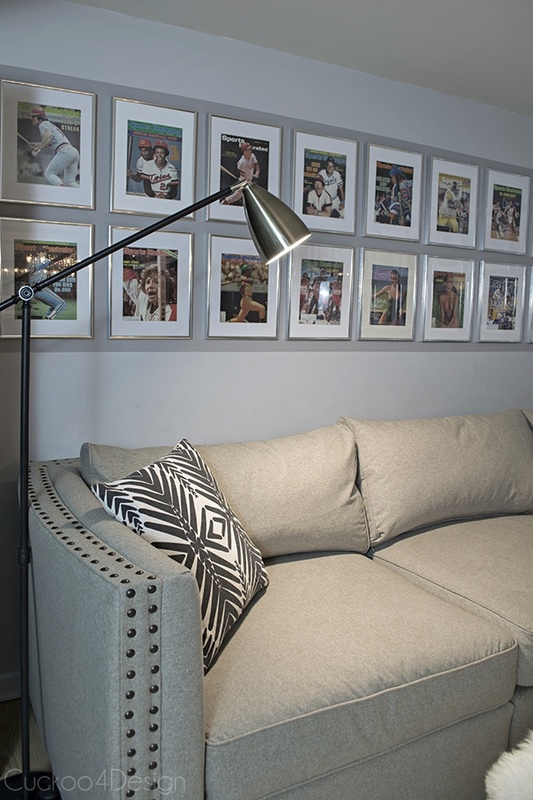 I already had one thing in mind when I knew I was going and it was the Dexter Floor Lamp. 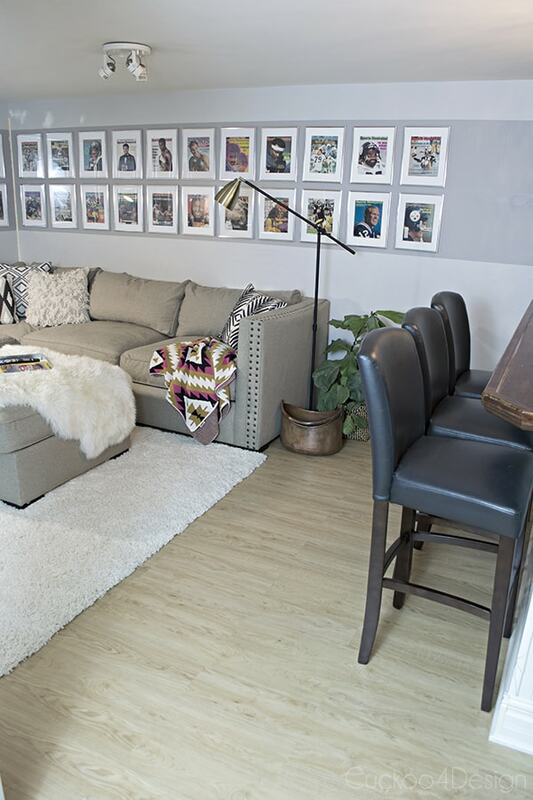 Love the look and lines and we needed different lighting for our new man-cave sectional (click HERE if you missed the post). It was an amazing time for sure since I got to hang out with my amazing fellow local bloggers which we don’t get to do often enough. There aren’t many around our neck of the woods in PA. That’s for sure! Oh and only Kelly is from Jersey but that is really close as well. Love the above sofa and rug combo. I’d use the rug as a throw though! Here are some of my favorite groceries which we always have in our house. I’m passionate about this stuff! 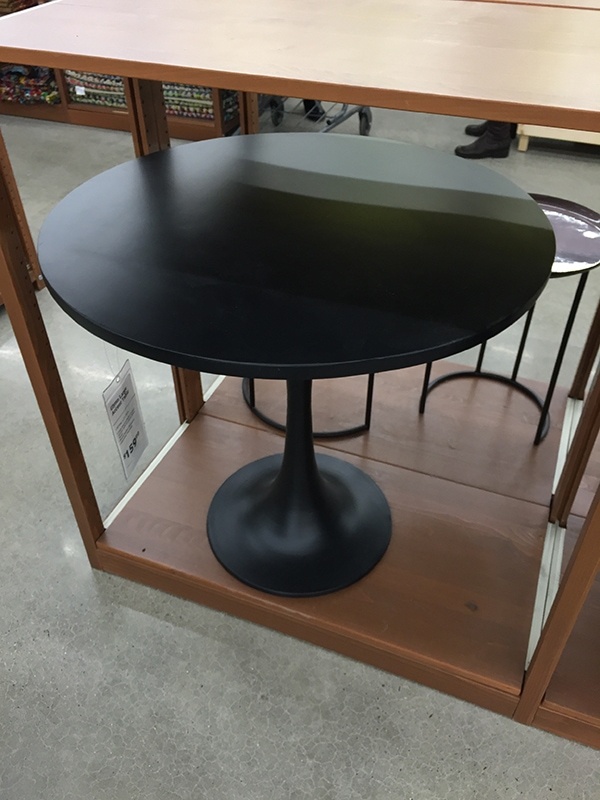 THIS pedestal table is the best! While browsing the isles I also found THIS copper tub which several people stopped me for to see where I found it. I found another one for Monica but no more after that and when I tried to find it online I noticed that it is sold out online. Bummer! But you might get lucky in a store. It’s perfect for more of my hubby’s magazines. 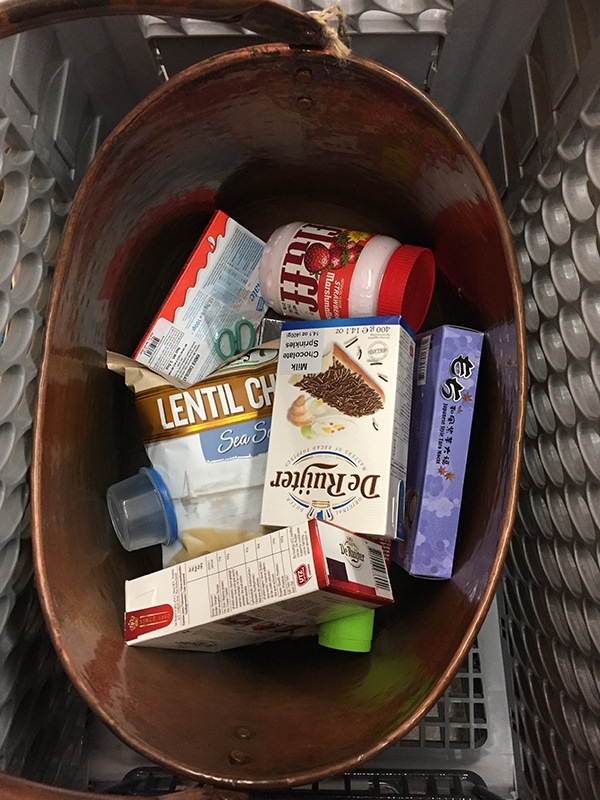 Look at how I loaded the tub up with food! The fluff was my friend’s though. My kids are obsessed with Japanese mochi and also love the Dutch DeRuijter Chocolate Sprinkles. My dad used to eat them as a kid over buttered bread and they are picking up that tradition. So so good and much better than the US sprinkles. Oh and do you spy “Kinderschokolade“? It’s our favorite chocolate ever. You must try! The floor lamps couldn’t be more perfect because the table lamps and chairs really didn’t work with the high arms of the sectional. That ceiling light still has to go. I hate it! You can find the sectional HERE. Oh and YES we’ve finally hung my old dining room chandelier over the bar. We both love it. You might think it’s not the normal man-cave lighting (which is true) but when I told the hubby that I was getting a new dining room fixture, he wasn’t all that happy because he loved this one. So when I told him we’d hang it over the bar he was content again. I placed my real plant here in the photos which could never really survive in this dark basement but I love the look, so I’m now looking for a nice faux option. We still need to repaint the room because you can’t tell in the photos how bad the walls actually are. And I’m not showing the other side/half of the room which is horribly disheveled with shelving, a TV and huge drum set. I might have to reveal the ugly truth in another blog post. And also after almost blogging for 4 years, I have never revealed how I built the above bar for my husband. It was on my list of things to blog about but I just never did since I don’t really have photos of the process. This post is in collaboration with Cost Plus World Market and of course all opinions are 100% my own. Thanks, this isn’t just a dark space. It’s pitch black and I don’t think anything could survive down there 😉 Faux would probably be the way to go. 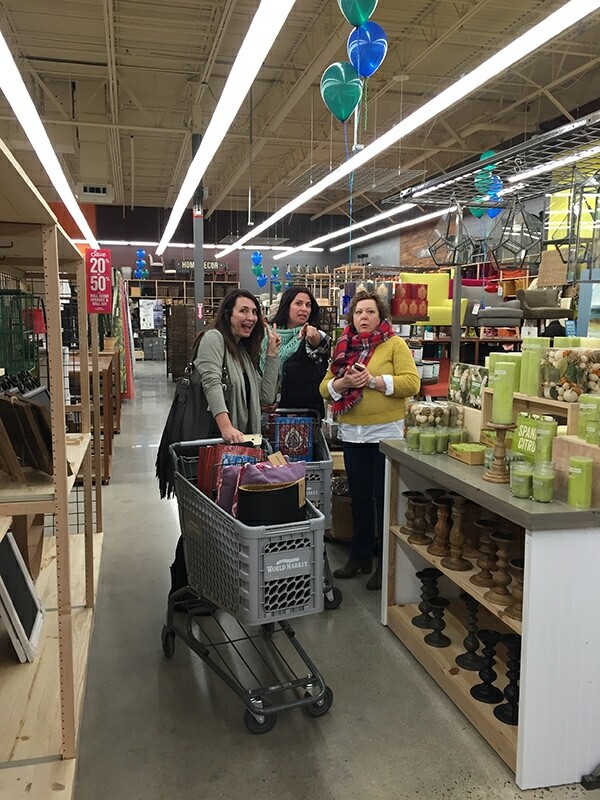 Love me some World Market! The lamps look really good in the space and I love that copper bucket. The basement looks great! I love the old dining room light above the bar. Thank you. I’m so glad we found another spot for it. I’m always amazed by what you do! 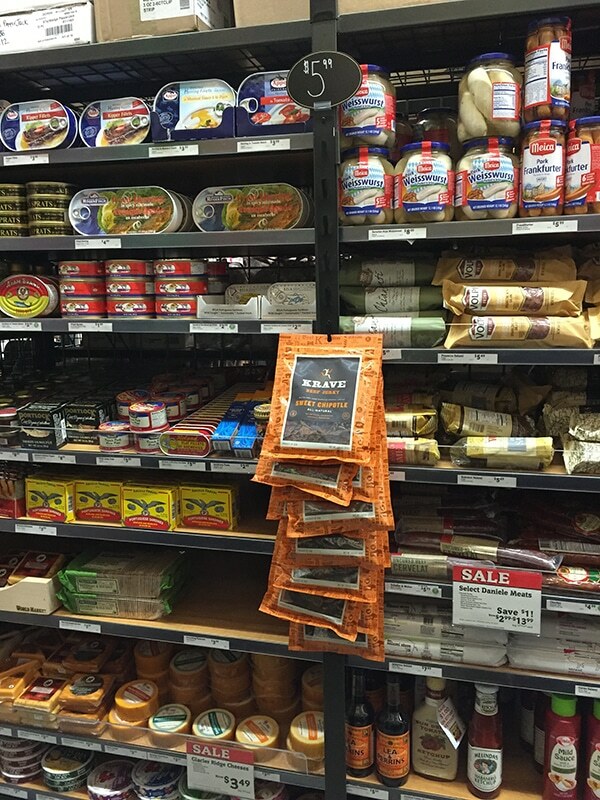 I have a World Market around me but when I go in I NEVER know what to buy! You have given me several ideas with this blog post! I love your new lights and the cooper pot but my favorite thing is how you moved the old light to the basement – it looks so good there! You are not afraid to change things up! And it’s actually motivating to know you have a mess on the other side of the room! Thank you Julia for all your hard work! You are always the sweetest Kathleen, thank you. I’ll have to share what the other side looks like. your basement looks phenomenal!!!!! 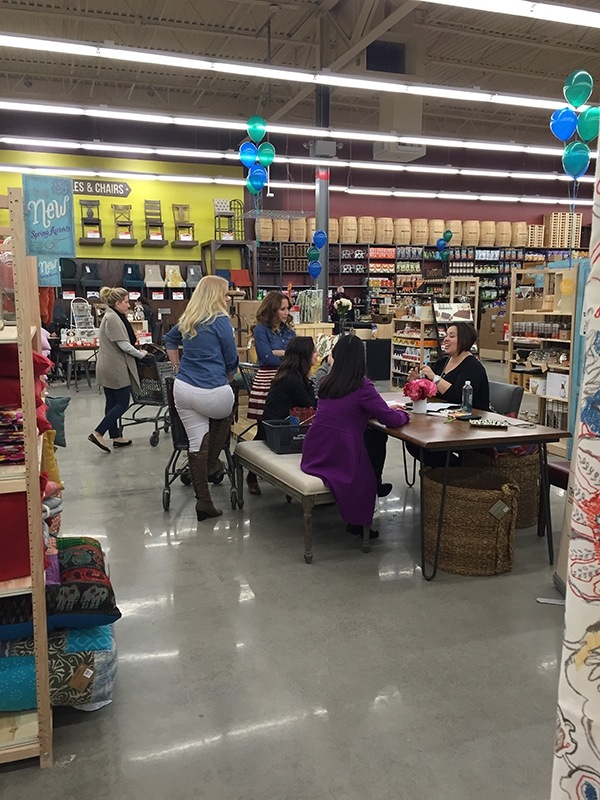 and i love all of the images from WM- that rug! swoon! 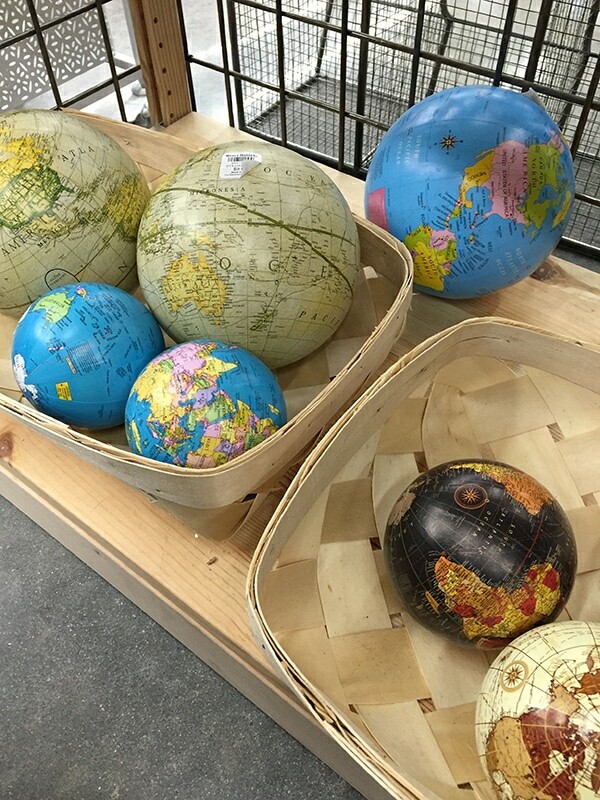 Looks like you had a great time at the World Market. Your basement is looking great. The new lights really elevates the room to a sophisticated level. Hmmm, might have to make a World Market run today to see if my local store has that copper bucket and I think my girls need some kinderscokolate. One of my favorite traditions getting it in Germany and now being able to buy it here in the States for my girls makes all of us so happy. Yay! So glad you guys got one! Looks so fun! Haha, be careful what you wish for 🙂 I’d love to and I travel in packs. Very fun! 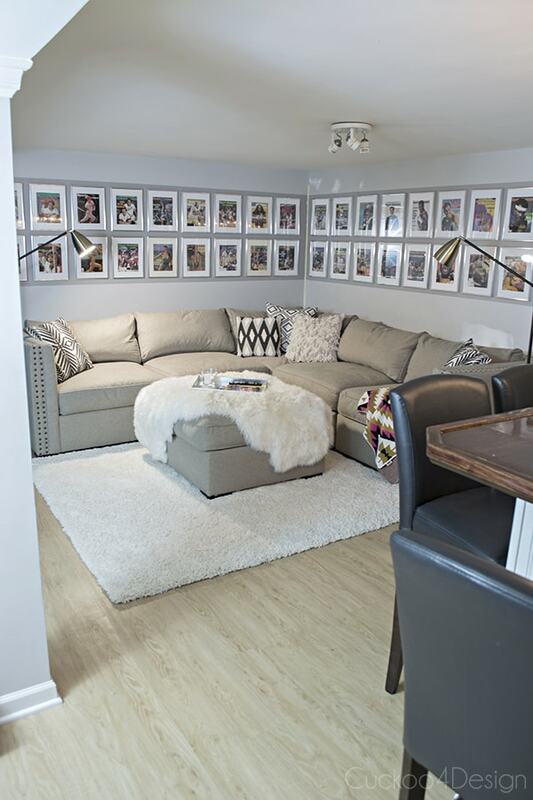 Love your den and all those framed photos, must have been hard to get that all perfectly lined up! 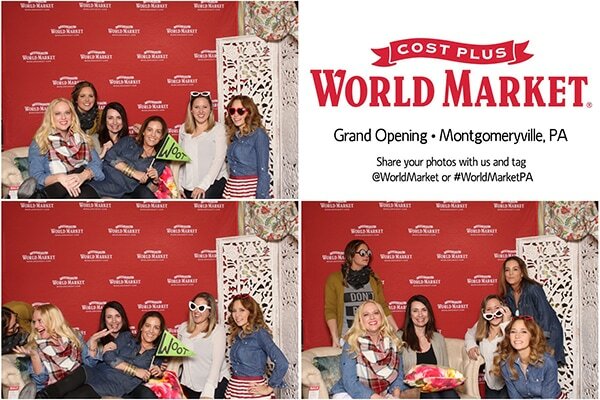 I just “met” Cost Plus World Market at Alt Summit in Utah, they were a sponsor. I can’t wait to go to a store and check it out! 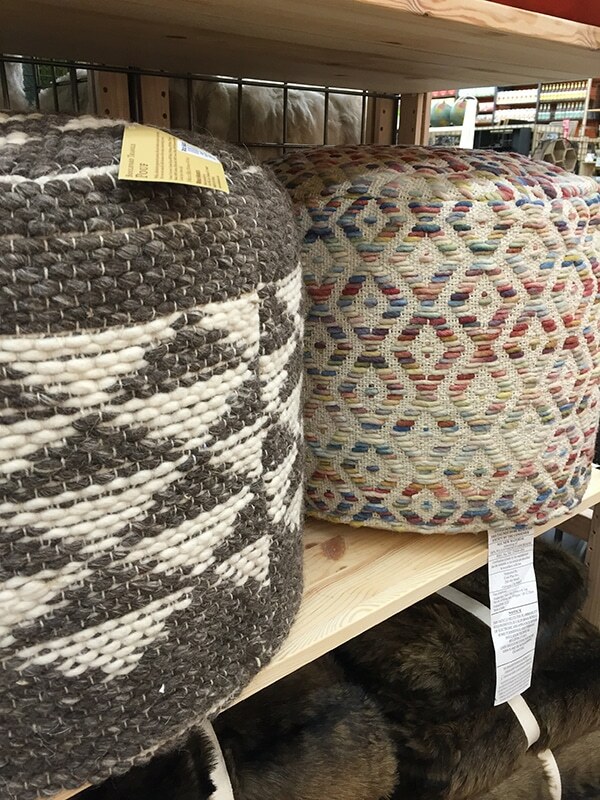 Loving all the ethnic, woven, worldly looking items! Hi Debbie, yes my husband collected most of them. He had a huge collection and gave the once he didn’t want away a couple of years ago. You can find them at places like Etsy. For example here: http://rstyle.me/n/bhvya94cgn Good luck. Snake plants do well. Give one a try! Love your animal posts and your love of design. You are definitely my favorite blogger. ???? Enjoy your WorldMarket/CostPlus. Awww that made my heart swell. Thank you so much. I do have two snake plants in my living room already and was hoping for something taller down in the basement. Love the snake plants though. I’m so glad you highlighted some of the food items you love! I always look at the food at WM but never know what’s good. 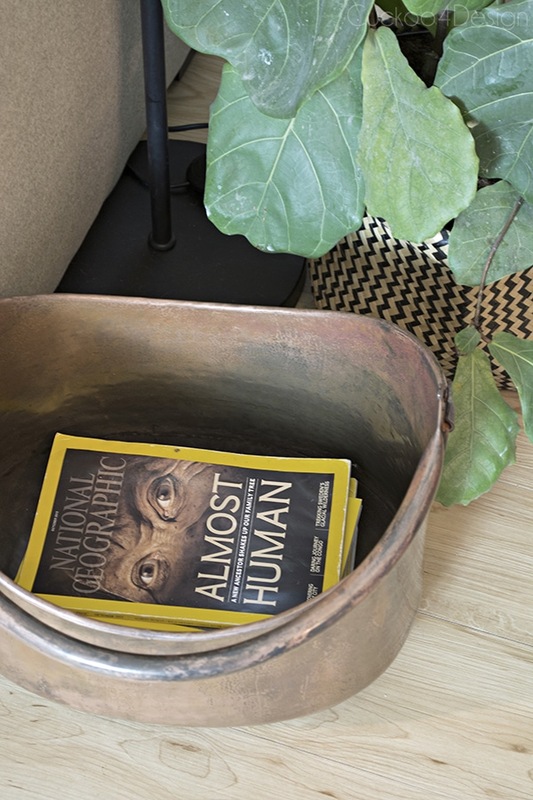 Love your finds, that copper bucket is fantastic! Let me know if your family likes Kinderschokolade. I have never meat someone who didn’t like it. It looks fantastic! 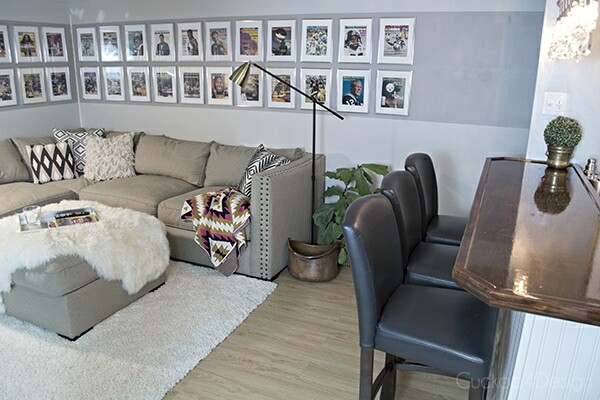 I love those lamps you chose – what a great idea to use one on either side of the sectional! And that copper tub is so good. And your dining room light is PERFECT over the bar! 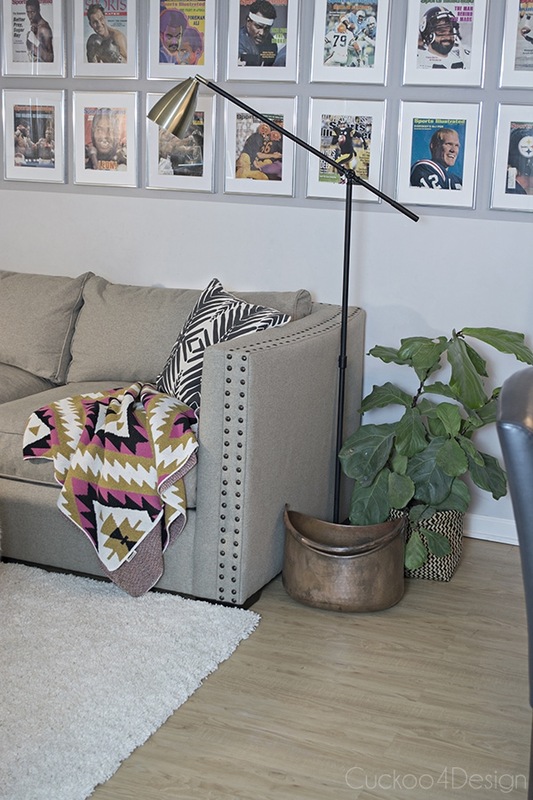 Have you seen this faux fiddle leaf fig tree from Z Gallerie? (http://www.zgallerie.com/p-12507-fiddle-leaf-tree.aspx) I want it SOOO badly, even though it’s pretty pricey. But I know I could easily spend that much killing live ones over and over, lol. It’s on my wishlist for sure! Oh cool I haven’t seen the one at Zgallerie before. They are usually really pricey. They have great ones at Wayfair too. I’m afraid to buy one online and then having it look really really fake. I’d love to see it in person. The huge faux one I have in my bedroom was a store purchase and I knew it looked great. I’ve had it for about 14 years already and still like it. Even though a lot of people hate faux plants. I’m so sad we didn’t get to spend more time together but that photo of me and the kids has me in stitches! So funny! That is my life, sigh. 🙂 They were so good, but truly, we NEED to get together sans kiddos sometime very soon. Miss you my friend! Miss you too and we should absolutely get together again soon. Have a great weekend. ooh, that lamp is fabulous! I might have to get one for my den; we were just looking at floor lamps at Ikea tonight, and nothing excited me. 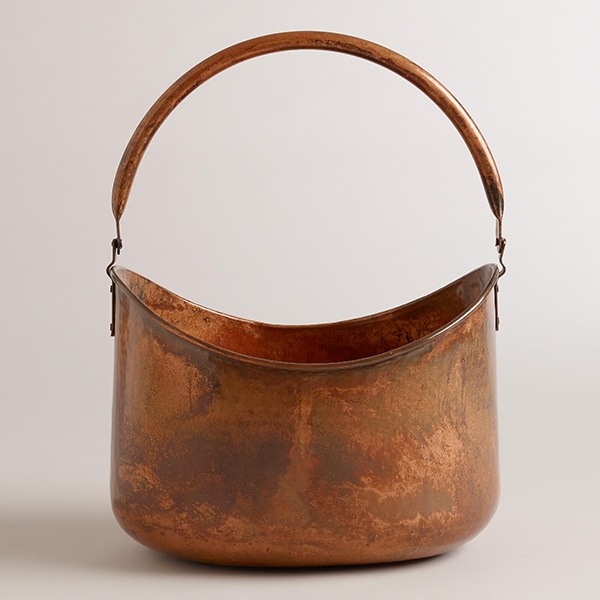 So I had to go to 3 World Markets, but I finally got that copper bucket. Oddly enough, at one store they told me it was a Thanksgiving item so it would be in the clearance section, maybe that’s why its out of stock online? I had no idea it was considered a Thanksgiving item. It wasn’t on clearance either. I’m gad you found one though. I LOVE our world market! Wish it was a little closer though! Your lamps are amazing!! LOVE them! 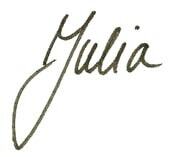 Hi Julia: I have a question. 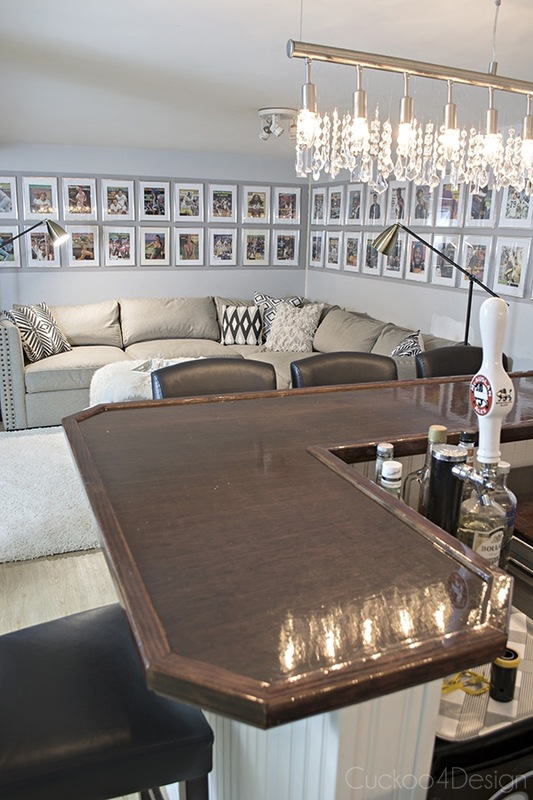 Your man cave is beautiful and your lovely crystal dining room light looks perfect above the bar. My question is–where did you get the beautiful white fur throw that is on the ottoman and the pretty white fur area rug under the coffee table? They are so pretty. I did some searching on your site, but couldn’t find any information. I am a fairly new reader of your site and am a big fan. I love your style and your home is just beautiful. Thanks in advance for any information. Best wishes to you and your lovely family. Hi Marnie and thanks so much! There is actually a slide at the bottom of the post with photos that you can click on of most of the items in the room. You meant the rug under the ottoman? This one: http://rstyle.me/n/bhvxp64cgn ? 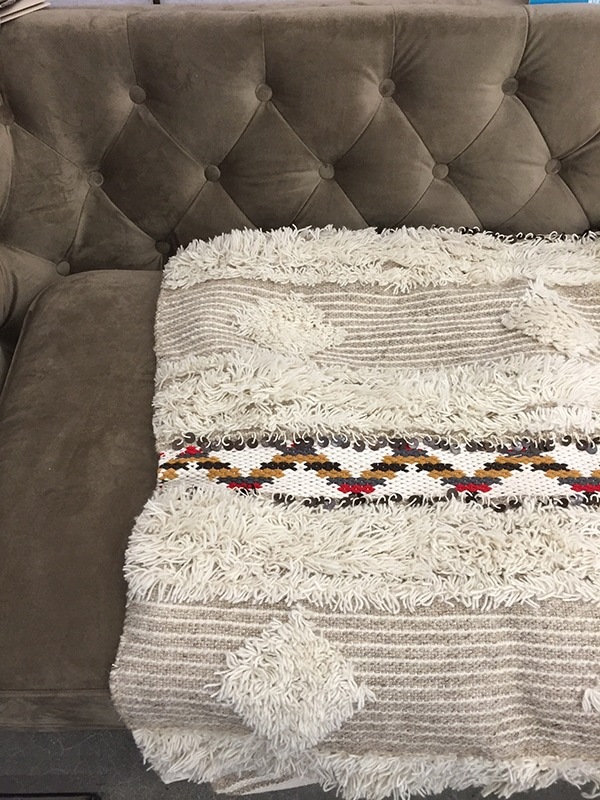 I love it and it’s super affordable and soft. And here is a throw like the one on top of it http://rstyle.me/n/g4aba4cgn but I actually bought mine at Ikea. They should be very similar though if you don’t have one close to you. I hope that helps. Brand new to your site and I must say I am obsessed with your style! I first heard about you through your interview on Glitter Guide. If you haven’t already, can you post a tutorial on how to hang all of those pictures so precisely? I’ve never been able to get it to work when I’ve tried. Oh thanks Jen. I should write about it because I get asked all the time. The trick are the frames because they are so easy to hang. I’ll try to post about it this month. Have a great week.